Directive 2005/55/EC is one of the separate directives under the type-approval procedure laid down by Directive 70/156/EEC. Directive 2005/55/EC requires new heavy-duty engines and engines of new heavy-duty vehicles to comply with new technical requirements covering on-board diagnostic systems, durability and conformity of in-service vehicles which are properly maintained and used, from 1 October 2005. The technical provisions necessary to implement Articles 3 and 4 of that Directive should be adopted. In order to ensure compliance with Article 5 of Directive 2005/55/EC, it is appropriate to introduce requirements encouraging the proper use, as intended by the manufacturer, of new heavy-duty vehicles equipped with engines having an exhaust after-treatment system requiring the use of a consumable reagent to achieve the intended reduction of regulated pollutants. Measures should be introduced to ensure that the driver of such a vehicle is informed in good time if any on-vehicle supply of a consumable reagent is about to run out or if the reagent dosing activity does not take place. If the driver ignores such warnings, the engine performance should be modified until the driver replenishes the supply of the consumable reagent required for the efficient operation of the exhaust after-treatment system. Where engines within the scope of Directive 2005/55/EC require the use of a consumable reagent in order to achieve the emission limits for which those engines were granted type-approval, the Member States should take appropriate steps to ensure that such reagents are available on a geographically balanced basis. Member States should be able to take appropriate steps to encourage the use of such reagents. It is appropriate to introduce requirements that will enable the Member States to monitor and ensure, at the time of the periodic technical inspection, that heavy-duty vehicles equipped with exhaust after-treatment systems requiring the use of a consumable reagent have been properly operated during the period preceding the inspection. Member States should be able to prohibit the use of any heavy-duty vehicle equipped with an exhaust after-treatment system that requires the use of a consumable reagent in order to achieve the emission limits for which such vehicles were granted a type-approval if the exhaust after-treatment system does not actually consume the required reagent or if the vehicle does not carry the required reagent. Manufacturers of heavy-duty vehicles equipped with exhaust after-treatment systems requiring the use of a consumable reagent should inform their customers how such vehicles should properly be operated. The requirements of Directive 2005/55/EC relating to the use of defeat strategies should be adapted to take account of technical progress. Requirements for multi-setting engines and for devices that can limit engine torque under certain operating conditions should also be specified. Annexes III and IV to Directive 98/70/EC of the European Parliament and of the Council of 13 October 1998 relating to the quality of petrol and diesel fuel and amending Council Directive 93/12/EEC (3) require petrol and diesel motor fuels for sale throughout the Community to have a maximum sulphur content of 50 mg/kg (parts per million, ppm), from 1 January 2005. Motor fuels with a sulphur content of 10 mg/kg or less are increasingly available throughout the Community and Directive 98/70/EC requires such fuels to be available from 1 January 2009. The reference fuels used for the type-approval testing of engines against the emission limits specified in row B1, row B2 and row C of the tables in Annex I to Directive 2005/55/EC should therefore be redefined in order to better reflect, where applicable, the sulphur content of the diesel fuels that are available on the market from 1 January 2005 and that are used by engines with advanced emission control systems. It is also appropriate to redefine the liquefied petroleum gas (LPG) reference fuel to reflect progress in the market since 1 January 2005. Technical adaptations to the sampling and measurement procedures are necessary to enable the reliable and repeatable measurement of particulate mass emissions for compression-ignition engines that are granted a type-approval according to the particulate limits specified either in row B1, row B2 or row C of the tables in section 6.2.1 of Annex I to Directive 2005/55/EC and for gas engines that are granted a type-approval according to the emission limits specified in row C of table 2 in section 6.2.1 of that Annex. Since the provisions concerning the implementation of Articles 3 and 4 of Directive 2005/55/EC are adopted at the same time as those adapting that Directive to technical progress, both types of measures have been included in the same act. In view of the rapid technological progress in this area, this Directive will be reviewed by 31 December 2006, if necessary. Directive 2005/55/EC should therefore be amended accordingly. Annexes I, II, III, IV and VI to Directive 2005/55/EC are amended in accordance with Annex I to this Directive. Measures for the implementation of Articles 3 and 4 of Directive 2005/55/EC are laid down in Annexes II to V to this Directive. 1. Member States shall adopt and publish, by 8 November 2006 at the latest, the laws, regulations and administrative provisions necessary to comply with this Directive. They shall forthwith communicate to the Commission the text of those provisions and a correlation table between those provisions and this Directive. They shall apply those provisions from 9 November 2006. (1) OJ L 42, 23.2.1970, p. 1. Directive as last amended by Commission Directive 2005/49/EC (OJ L 194, 26.7.2005, p. 12). (2) OJ L 275, 20.10.2005, p. 1. (3) OJ L 350, 28.12.1998, p. 58. Directive as last amended by Regulation (EC) No 1882/2003 of the European Parliament and of the Council (OJ L 284, 31.10.2003, p. 1). This Directive applies to the control of gaseous and particulate pollutants, useful life of emission control devices, conformity of in-service vehicles/engines and on-board diagnostic (OBD) systems of all motor vehicles equipped with compression-ignition engines and to the gaseous pollutants, useful life, conformity of in-service vehicles/engines and on-board diagnostic (OBD) systems of all motor vehicles equipped with positive-ignition engines fuelled with natural gas or LPG, and to compression-ignition and positive-ignition engines as specified in Article 1 with the exception of compression-ignition engines of those vehicles of category N1, N2 and M2 and of positive-ignition engines fuelled with natural gas or LPG of those vehicles of category N1 for which type-approval has been granted under Council Directive 70/220/EEC (1). any case where the OBD system is not able to fulfil the monitoring requirements of this Directive. “periodic regeneration” means the regeneration process of an emission control device that occurs periodically in less than 100 hours of normal engine operation. During cycles where regeneration occurs, emission standards can be exceeded. “λ-shift factor (Sλ)” means an expression that describes the required flexibility of the engine management system regarding a change of the excess-air ratio λ if the engine is fuelled with a gas composition different from pure methane (see Annex VII for the calculation of Sλ). Former sections 2.32.2 and 2.32.3 become sections 2.2.2 and 2.2.3 respectively. β = 1 for carbon based fuels, β = 0 for hydrogen fuel. ISO 15031-1: 2001 Road vehicles – Communication between vehicle and external equipment for emissions related diagnostics – Part 1: General information. ISO/PRF TR 15031-2: 2004 Road vehicles – Communication between vehicle and external equipment for emissions related diagnostics – Part 2: Terms, definitions, abbreviations and acronyms. ISO 15031-3: 2004 Road vehicles – Communication between vehicle and external equipment for emissions related diagnostics – Part 3: Diagnostic connector and related electrical circuits, specification and use. SAE J1939-13: Off-Board Diagnostic Connector. ISO DIS 15031-4.3: 2004 Road vehicles – Communication between vehicle and external equipment for emissions related diagnostics – Part 4: External test equipment. SAE J1939-73: Application Layer – Diagnostics. ISO DIS 15031-5.4: 2004 Road vehicles – Communication between vehicle and external equipment for emissions related diagnostics – Part 5: Emissions-related diagnostic services. ISO DIS 15031-6.4: 2004 Road vehicles – Communication between vehicle and external equipment for emissions related diagnostics – Part 6: Diagnostic trouble code definitions. SAE J2012: Diagnostic Trouble Code Definitions Equivalent to ISO/DIS 15031-6, April 30, 2002. ISO 15031-7: 2001 Road vehicles – Communication between vehicle and external equipment for emissions related diagnostics – Part 7: Data link security. SAE J2186: E/E Data Link Security, dated October 1996. ISO 15765-4: 2001 Road vehicles – Diagnostics on Controller Area Network (CAN) – Part 4: Requirements for emissions-related systems. SAE J1939: Recommended Practice for a Serial Control and Communications Vehicle Network. ISO 16185: 2000 Road vehicles – Engine family for homologation. ISO 2575: 2000 Road vehicles – Symbols for controls, indicators and tell-tales. 3.1.1. The application for approval of an engine type or engine family with regard to the level of the emission of gaseous and particulate pollutants for diesel engines and with regard to the level of the emission of gaseous pollutants for gas engines as well as the useful life and on-board diagnostic (OBD) system shall be submitted by the engine manufacturer or by a duly accredited representative. 3.2.1. The application for approval of a vehicle with regard to emission of gaseous and particulate pollutants by its diesel engine or diesel engine family and with regard to the level of the emission of gaseous pollutants by its gas engine or gas engine family as well as the useful life and on-board diagnostic (OBD) system shall be submitted by the vehicle manufacturer or by a duly accredited representative. 3.2.3. The manufacturer shall provide a description of the malfunction indicator (MI) used by the OBD system to signal the presence of a fault to a driver of the vehicle. 3.3.3. The manufacturer shall provide a description of the malfunction indicator (MI) used by the OBD system to signal the presence of a fault to a driver of the vehicle. 3.4.1.2.1. The manufacturer shall provide the technical service with a description of potential failures within the emission control system that will have an effect on emissions. This information shall be subject to discussion and agreement between the technical service and the vehicle manufacturer. 3.4.1.3. Where applicable, a description of the communication interface (hardware and messages) between the engine electronic control unit (EECU) and any other powertrain or vehicle control unit when the exchanged information has an influence on the correct functioning of the emission control system. 3.4.1.4. Where appropriate, copies of other type-approvals with the relevant data to enable extensions of approvals. 3.4.1.5. If applicable, the particulars of the engine family as referred to in section 8 of this Annex. In section 5.1.3 the footnote is deleted. 6.1.1.1. The components liable to affect, where appropriate, the emission of gaseous and particulate pollutants from diesel and gas engines shall be so designed, constructed, assembled and installed as to enable the engine, in normal use, to comply with the provisions of this Directive. The use of a defeat strategy is forbidden. 6.1.2.1. The use of a multi-setting engine is forbidden until appropriate and robust provisions for multi-setting engines are laid down in this Directive (5). 6.1.3.1. Any element of design and emission control strategy (ECS) liable to affect the emission of gaseous and particulate pollutants from diesel engines and the emission of gaseous pollutants from gas engines shall be so designed, constructed, assembled and installed as to enable the engine, in normal use, to comply with the provisions of this Directive. ECS consists of the base emission control strategy (BECS) and usually one or more auxiliary emission control strategies (AECS). 6.1.4.1. The base emission control strategy (BECS) shall be so designed as to enable the engine, in normal use, to comply with the provisions of this Directive. Normal use is not restricted to the conditions of use as specified in paragraph 6.1.5.4.
is activated only exceptionally within the conditions of use specified in paragraph 6.1.5.4 for the purposes defined in paragraph 6.1.5.6. and not longer than is needed for these purposes. 6.1.5.2. An auxiliary emission control strategy (AECS) that operates within the conditions of use specified in section 6.1.5.4 and which results in the use of a different or modified emission control strategy (ECS) to that normally employed during the applicable emission test cycles will be permitted if, in complying with the requirements of section 6.1.7, it is fully demonstrated that the measure does not permanently reduce the effectiveness of the emission control system. In all other cases, such strategy shall be considered to be a defeat strategy. 6.1.5.3. An auxiliary emission control strategy (AECS) that operates outside the conditions of use specified in section 6.1.5.4 will be permitted if, in complying with the requirements of section 6.1.7, it is fully demonstrated that the measure is the minimum strategy necessary for the purposes of paragraph 6.1.5.6 with respect to environmental protection and other technical aspects. In all other cases, such a strategy shall be considered to be a defeat strategy. engine coolant temperature within the range 343 K to 373 K (70 °C to 100 °C). 6.1.5.5. An auxiliary emission control strategy (AECS) may be installed to an engine, or on a vehicle, provided that the operation of the AECS is included in the applicable type-approval test and is activated according to section 6.1.5.6.
if it is used to trade-off the control of one regulated pollutant under specific ambient or operating conditions in order to maintain control of all other regulated pollutants within the emission limit values that are appropriate for the engine in question. The overall effects of such an AECS is to compensate for naturally occurring phenomena and do so in a manner that provides acceptable control of all emission constituents. 6.1.6.1. A torque limiter will be permitted if it complies with the requirements of section 6.1.6.2. or 6.5.5. In all other cases, a torque limiter shall be considered to be a defeat strategy. is activated in the same manner to limit the performance of a vehicle in order to encourage the driver to take the necessary measures in order to ensure the correct functioning of NOx control measures within the engine system. additional material that shows the parameters that are modified by any auxiliary emission control strategy (AECS) and the boundary conditions under which the AECS operates. The additional material shall include a description of the fuel system control logic, timing strategies and switch points during all modes of operation. It shall also include a description of the torque limiter described in section 6.5.5 of this Annex. The additional material shall also contain a justification for the use of any AECS and include additional material and test data to demonstrate the effect on exhaust emissions of any AECS installed to the engine or on the vehicle. The justification for the use of an AECS may be based on test data and/or sound engineering analysis. This additional material shall remain strictly confidential, and be made available to the type-approval authority on request. The type-approval authority will keep this material confidential. 6.1.8.1. To verify whether any strategy or measure should be considered a defeat strategy according to the definitions given in section 2, the type-approval authority and/or the technical service may additionally request a NOx screening test using the ETC which may be carried out in combination with either the type-approval test or the procedures for checking the conformity of production. 6.1.8.2. In verifying whether any strategy or measure should be considered a defeat strategy according to the definitions given in section 2, an additional margin of 10 %, related to the appropriate NOx limit value, shall be accepted. 6.1.9. The transitional provisions for extension of type-approval are given in section 6.1.5 of Annex I to Directive 2001/27/EC. 6.1.10.1. Any vehicle with an Emission Control Unit must include features to deter modification, except as authorised by the manufacturer. The manufacturer shall authorise modifications if these modifications are necessary for the diagnosis, servicing, inspection, retrofitting or repair of the vehicle. Any reprogrammable computer codes or operating parameters must be resistant to tampering and afford a level of protection at least as good as the provisions in ISO 15031-7 (SAE J2186) provided that the security exchange is conducted using the protocols and diagnostic connector as prescribed in section 6 of Annex IV to Directive 2005/78/EC. Any removable calibration memory chips must be potted, encased in a sealed container or protected by electronic algorithms and must not be changeable without the use of specialised tools and procedures. 6.1.10.2. Computer-coded engine operating parameters must not be changeable without the use of specialised tools and procedures (e.g. soldered or potted computer components or sealed (or soldered) computer enclosures). 6.1.10.3. Manufacturers must take adequate steps to protect the maximum fuel delivery setting from tampering while a vehicle is in-service. 6.1.10.4. Manufacturers may apply to the approval authority for an exemption from one of these requirements for those vehicles that are unlikely to require protection. The criteria that the approval authority will evaluate in considering an exemption will include, but are not limited to, the current availability of performance chips, the high-performance capability of the vehicle and the projected sales volume of the vehicle. 6.1.10.5. Manufacturers using programmable computer code systems (e.g. electrical erasable programmable read-only memory, EEPROM) must deter unauthorised reprogramming. Manufacturers must include enhanced tamper-protection strategies and write protect features requiring electronic access to an off-site computer maintained by the manufacturer. Alternative methods giving an equivalent level of tamper protection may be approved by the authority. For type approval to row A of the tables in section 6.2.1, the emissions shall be determined on the ESC and ELR tests with conventional diesel engines including those fitted with electronic fuel injection equipment, exhaust gas recirculation (EGR), and/or oxidation catalysts. Diesel engines fitted with advanced exhaust aftertreatment systems including deNOx catalysts and/or particulate traps, shall additionally be tested on the ETC test. For type approval testing to either row B1 or B2 or row C of the tables in section 6.2.1 the emissions shall be determined on the ESC, ELR and ETC tests. For gas engines, the gaseous emissions shall be determined on the ETC test. The ESC and ELR test procedures are described in Annex III, Appendix 1, the ETC test procedure in Annex III, Appendices 2 and 3. The emissions of gaseous pollutants and particulate pollutants, if applicable, and smoke, if applicable, by the engine submitted for testing shall be measured by the methods described in Annex III, Appendix 4. Annex V describes the recommended analytical systems for the gaseous pollutants, the recommended particulate sampling systems, and the recommended smoke measurement system. 6.3.1. For the purposes of this Directive, the manufacturer shall determine deterioration factors that will be used to demonstrate that the gaseous and particulate emissions of an engine family or engine-aftertreatment system family remain in conformity with the appropriate emission limits specified in the tables in section 6.2.1 of this Annex over the appropriate durability period laid down in Article 3 to this Directive. 6.3.2. The procedures for demonstrating the compliance of an engine or engine-aftertreatment system family with the relevant emission limits over the appropriate durability period are given in Annex II to Directive 2005/78/EC. 6.4.1. As laid down in Articles 4(1) and 4(2) of this Directive, diesel engines or vehicles equipped with a diesel engine must be fitted with an on-board diagnostic (OBD) system for emission control in accordance with the requirements of Annex IV to Directive 2005/78/EC. As laid down in Article 4(2) of this Directive, gas engines or vehicles equipped with a gas engine must be fitted, with an on-board diagnostic (OBD) system for emission control in accordance with the requirements of Annex IV to Directive 2005/78/EC. is less than 50 units per year, may obtain EC type-approval on the basis of the requirements of the present directive where the complete emission control system (i.e. the engine and after-treatment system) are monitored only for circuit continuity. The type-approval authority must inform the Commission of the circumstances of each type-approval granted under this provision. 6.5.1.1. This section is applicable to all engine systems irrespective of the technology used to comply with the emission limit values given in the tables in section 6.2.1 of this Annex. The Requirements of sections 6.5.3, 6.5.4 and 6.5.5 shall apply from 1 October 2006 for new type approvals and from 1 October 2007 for all registrations of new vehicles. 6.5.1.3. Any engine system covered by this section shall be designed, constructed and installed so as to be capable of meeting these requirements over the useful life of the engine. 6.5.1.4. Information that fully describes the functional operational characteristics of an engine system covered by this section shall be provided by the manufacturer in Annex II to this Directive. 6.5.1.5. In its application for type-approval, if the engine system requires a reagent, the manufacturer shall specify the characteristics of all reagent(s) consumed by any exhaust aftertreatment system, e.g. type and concentrations, operational temperature conditions, reference to international standards etc. 6.5.1.6. With reference to section 6.1, any engine system covered by this section shall retain its emission control function during all conditions regularly pertaining in the territory of the European Union, especially at low ambient temperatures. 6.5.1.7. For the purpose of type-approval, the manufacturer shall demonstrate to the Technical Service that for engine systems that require a reagent, any emission of ammonia does not exceed, over the applicable emissions test cycle, a mean value of 25 ppm. 6.5.1.8. For engine systems requiring a reagent, each separate reagent tank installed on a vehicle shall include a means for taking a sample of any fluid inside the tank. The sampling point shall be easily accessible without the use of any specialised tool or device. 6.5.2.1. The manufacturer shall furnish or cause to be furnished to all owners of new heavy-duty vehicles or new heavy-duty engines written instructions that shall state that if the vehicle emission control system is not functioning correctly, the driver shall be informed of a problem by the malfunction indicator (MI) and the engine shall consequentially operate with a reduced performance. 6.5.2.2. The instructions will indicate requirements for the proper use and maintenance of vehicles, including where relevant the use of consumable reagents. 6.5.2.3. The instructions shall be written in clear and non-technical language and in the language of the country in which a new heavy-duty vehicle or new heavy-duty engine is sold or registered. 6.5.2.4. The instructions shall specify if consumable reagents have to be refilled by the vehicle operator between normal maintenance intervals and shall indicate a likely rate of reagent consumption according to the type of new heavy-duty vehicle. 6.5.2.5. The instructions shall specify that use of and refilling of a required reagent of the correct specifications when indicated is mandatory for the vehicle to comply with the certificate of conformity issued for that vehicle or engine type. 6.5.2.6. The instructions shall state that it may be a criminal offence to use a vehicle that does not consume any reagent if it is required for the reduction of pollutant emissions and that, in consequence, any favourable conditions for the purchase or operation of the vehicle obtained in the country of registration or other country in which the vehicle is used may become invalid. 6.5.3.1. Incorrect operation of the engine system with respect to NOx emissions control (for example due to lack of any required reagent, incorrect EGR flow or deactivation of EGR) shall be determined through monitoring of the NOx level by sensors positioned in the exhaust stream. 6.5.3.2. Engine systems shall be equipped with a method for determining the NOx level in the exhaust stream. Any deviation in NOx level more than 1,5 g/kwh above the applicable limit value given in table I of section 6.2.1 of Annex I to this Directive, shall result in the driver being informed by activation of the MI (see section 3.6.5 of Annex IV to Directive 2005/78/EC). 6.5.3.3. In addition, a non-erasable fault code identifying the reason why NOx exceeds the levels specified in the paragraph above shall be stored in accordance with paragraph 3.9.2 of Annex IV to Directive 2005/78/EC for at least 400 days or 9 600 hours of engine operation. 6.5.3.4. If the NOx level exceeds the OBD threshold limit values given in the table in Article 4(3) of this Directive (9), a torque limiter shall reduce the performance of the engine according to the requirements of section 6.5.5 in a manner that is clearly perceived by the driver of the vehicle. When the torque limiter is activated the driver shall continue to be alerted according to the requirements of section 6.5.3.2. 6.5.3.5. In the case of engine systems that rely on the use of EGR and no other aftertreatment system for NOx emissions control, the manufacturer may utilise an alternative method to the requirements of paragraph 6.5.3.1 for the determination of the NOx level. At the time of type approval the manufacturer shall demonstrate that the alternative method is equally timely and accurate in determining the NOx level compared to the requirements of paragraph 6.5.3.1 and that it triggers the same consequences as those referred to in sections 6.5.3.2, 6.5.3.3 and 6.5.3.4.
below the level corresponding to the driving distance possible with the fuel reserve level specified by the manufacturer. The reagent indicator shall be placed in close proximity to the fuel level indicator. 6.5.4.2. The driver shall be informed, according to the requirements of section 3.6.5 of Annex IV to Directive 2005/78/EC, if the reagent tank becomes empty. 6.5.4.3. As soon as the reagent tank becomes empty, the requirements of section 6.5.5 shall apply in addition to the requirements of section 6.5.4.2. 6.5.4.4. A manufacturer may choose to comply with the sections 6.5.4.5 to 6.5.4.13 as an alternative to complying with the requirements of section 6.5.3. 6.5.4.5. Engine systems shall include a means of determining that a fluid corresponding to the reagent characteristics declared by the manufacturer and recorded in Annex II to this Directive is present on the vehicle. 6.5.4.6. If the fluid in the reagent tank does not correspond to the minimum requirements declared by the manufacturer as recorded in Annex II to this Directive the additional requirements of section 6.5.4.13 shall apply. 6.5.4.7. Engine systems shall include a means for determining reagent consumption and providing off-board access to consumption information. 6.5.4.8. Average reagent consumption and average demanded reagent consumption by the engine system either over the previous complete 48 hour period of engine operation or the period needed for a demanded reagent consumption of at least 15 litres, whichever is longer, shall be available via the serial port of the standard diagnostic connector (see section 6.8.3 of Annex IV to Directive 2005/78/EC). flow of reagent or injection of reagent as close as technically possible to the point of injection into an exhaust aftertreatment system. 6.5.4.10. Any deviation more than 50 % in average reagent consumption and average demanded reagent consumption by the engine system over the period defined in section 6.5.4.8 shall result in application of the measures laid down in paragraph 6.5.4.13. 6.5.4.11. In the case of interruption in reagent dosing activity the measures laid down in paragraph 6.5.4.13 shall apply. This is not required where such interruption is demanded by the engine ECU because engine operating conditions are such that the engine’s emission performance does not require reagent dosing, provided that the manufacturer has clearly informed the approval authority when such operating conditions apply. 6.5.4.12. If the NOx level exceeds 7,0 g/kWh on the ETC test cycle the measures laid down in section 6.5.4.13 shall apply. 6.5.4.13. Where reference is made to this section, the driver shall be alerted by activation of the MI (see section 3.6.5 of Annex IV to Directive 2005/78/EC) and a torque limiter shall reduce the performance of the engine according to the requirements of section 6.5.5 in a manner that is clearly perceived by the driver of the vehicle. A non-erasable fault code identifying the reason for torque limiter activation shall be stored in accordance with paragraph 3.9.2 of Annex IV to Directive 2005/78/EC for a minimum of 400 days or 9 600 hours of engine operation. 6.5.5.1. Any engine system covered by this section shall include a torque limiter that will alert the driver that the engine system is operating incorrectly or the vehicle is being operated in an incorrect manner and thereby encourage the prompt rectification of any fault(s). 6.5.5.2. The torque limiter shall be activated when the vehicle becomes stationary for the first time after the conditions of either sections 6.5.3.4, 6.5.4.3, 6.5.4.6, 6.5.4.10, 6.5.4.11 or 6.5.4.12 have occurred. 75 % of full load torque, independent of engine speed, for vehicles of category N1, N2, N3 ≤ 16 tons, M2, M3/I, M3/II, M3/A and M3/B ≤ 7,5 tons. 6.5.5.4. The scheme of torque limitation is set out in sections 6.5.5.5 to 6.5.5.6. 6.5.5.5. Detailed written information fully describing the functional operation characteristics of the torque limiter shall be specified according to the documentation requirements of section 6.1.7.1 of this Annex. 6.5.5.6. The torque limiter shall be deactivated when the engine speed is at idle if the conditions for its activation have ceased to exist. The torque limiter shall not be automatically deactivated without the reason for its activation being remedied. 6.5.5.7.1. As part of the application for type-approval provided for in section 3 of this Annex, the manufacturer shall demonstrate the operation of the torque limiter either by tests on an engine dynamometer or by a vehicle test. 6.5.5.7.2. If an engine dynamometer test is to be carried out the manufacturer shall run consecutive ETC test cycles in order to demonstrate that the torque limiter will operate, including its activation, in accordance with the requirements of section 6.5, and in particular with those of section 6.5.5.2 and 6.5.5.3. 6.5.5.7.3. If a vehicle test is to be carried out, the vehicle shall be driven over the road or test track to demonstrate that the torque limiter will operate, including its activation, in accordance with the requirements of section 6.5, and in particular with those of section 6.5.5.2 and 6.5.5.3. The OBD-engine family may be defined by basic design parameters that must be common to engine systems within the family. the methods of malfunction detection. unless these methods have been shown as equivalent by the manufacturer by means of relevant engineering demonstration or other appropriate procedures. 9.1. Measures to ensure production conformity must be taken in accordance with the provisions of Article 10 of Directive 70/156/EEC. Production conformity is checked on the basis of the description in the type-approval certificates set out in Annex VI to this Directive. In applying Appendices 1, 2 or 3, the measured emission of the gaseous and particulate pollutants from engines subject to checking for conformity of production shall be adjusted by application of the appropriate deterioration factors (DF’s) for that engine as recorded in section 1.5 of the Appendix to Annex VI. 9.1.2.2. When the approval authority determines that the quality of production seems unsatisfactory an engine is randomly taken from the series and subjected to the tests described in Appendix 1 to Annex IV to Directive 2005/78/EC. The tests may be carried out on an engine that has been run-in up to a maximum of 100 hours. 9.1.2.3. The production is deemed to conform if this engine meets the requirements of the tests described in Appendix 1 to Annex IV to Directive 2005/78/EC. 9.1.2.4 If the engine taken from the series does not satisfy the requirements of section 9.1.2.2, a further random sample of four engines must be taken from the series and subjected to the tests described in Appendix 1 to Annex IV to Directive 2005/78/EC. The tests may be carried out on engines that have been run-in up to a maximum of 100 hours. 10.1. For the purpose of this Directive, the conformity of in-service vehicles/engines must be checked periodically over the useful life period of an engine installed in a vehicle. 10.2. With reference to type-approvals granted for emissions, additional measures are appropriate for confirming the functionality of the emission control devices during the useful life of an engine installed in a vehicle under normal conditions of use. 3. The values of the pollutants given in section 6.2.1 of Annex I, after having applied the relevant DF, are considered to be log normally distributed and should be transformed by taking their natural logarithms. Let m0 and m denote the minimum and maximum sample size respectively (m0 = 3 and m = 32) and let n denote the current sample number. The determination of system equivalency according to section 6.2 of this Annex shall be based on a 7 sample pair (or larger) correlation study between the candidate system and one of the accepted reference systems of this Directive using the appropriate test cycle(s). The equivalency criteria to be applied shall be the F-test and the two-sided Student t-test. This statistical method examines the hypothesis that the population standard deviation and mean value for an emission measured with the candidate system do not differ from the standard deviation and population mean value for that emission measured with the reference system. The hypothesis shall be tested on the basis of a 5 % significance level of the F and t values. The critical F and t values for 7 to 10 sample pairs are given in the table below. If the F and t values calculated according to the formulae below are greater than the critical F and t values, the candidate system is not equivalent. Conduct at least 7 tests with the candidate and reference systems preferably operated in parallel. The number of tests is referred to as nR and nC. Calculate the mean values xR and xC and the standard deviations sR and sC. Compare the calculated F and t values with the critical F and t values corresponding to the respective number of tests indicated in table below. If larger sample sizes are selected, consult statistical tables for 5 % significance (95 % confidence) level. Former section 0.7 and sections 0.8 and 0.9 become sections 0.8, 0.9 and 0.10 respectively. In accordance with the provisions of section 5 of Annex IV to Directive 2005/78/EC, the following additional information must be provided by the vehicle manufacturer for the purposes of enabling the manufacture of OBD-compatible replacement or service parts and diagnostic tools and test equipment, unless such information is covered by intellectual property rights or constitutes specific know-how of the manufacturer or the OEM supplier(s). 1.1. A description of the type and number of the pre-conditioning cycles used for the original type approval of the vehicle. 1.2. A description of the type of the OBD demonstration cycle used for the original type-approval of the vehicle for the component monitored by the OBD system. A comprehensive document describing all sensed components with the strategy for fault detection and MI activation (fixed number of driving cycles or statistical method), including a list of relevant secondary sensed parameters for each component monitored by the OBD system. A list of all OBD output codes and format used (with an explanation of each) associated with individual emission related powertrain components and individual non-emission related components, where monitoring of the component is used to determine MI activation. 1.3.2. The information required by this Appendix may be limited to the complete list of the fault codes recorded by the OBD system where section 5.1.2.1 of Annex IV to Directive 2005/78/EC is not applicable as in the case of replacement or service components. This information may, for example, be defined by completing the two first columns of the table of section 1.3.1 above. The complete information package should be made available to the type-approval authority as part of the additional material requested in section 6.1.7.1 of Annex I to this Directive, “documentation requirements”. 1.3.3. The information required by this section shall be repeated in Appendix 2 to the EC type-approval certificate (Annex VI to this Directive). 2.1.1. The absolute temperature (T a) of the engine air at the inlet to the engine expressed in Kelvin, and the dry atmospheric pressure (p s), expressed in kPa shall be measured and the parameter f a shall be determined according to the following provisions. In multi-cylinder engines having distinct groups of intake manifolds, for example, in a “V” engine configuration, the average temperature of the distinct groups shall be taken. If the engine is equipped with an exhaust aftertreatment system, the emissions measured on the test cycle shall be representative of the emissions in the field. In the case of an engine equipped with a exhaust aftertreatment system that requires the consumption of a reagent, the reagent used for all tests shall comply with section 2.2.1.13 of Appendix 1 to Annex II. 2.8.1. For an exhaust aftertreatment system based on a continuous regeneration process the emissions shall be measured on a stabilised aftertreatment system. The regeneration process shall occur at least once during the ETC test and the manufacturer shall declare the normal conditions under which regeneration occurs (soot load, temperature, exhaust back-pressure, etc). In order to verify the regeneration process at least 5 ETC tests shall be conducted. During the tests the exhaust temperature and pressure shall be recorded (temperature before and after the aftertreatment system, exhaust back pressure, etc). The aftertreatment system is considered to be satisfactory if the conditions declared by the manufacturer occur during the test during a sufficient time. The final test result shall be the arithmetic mean of the different ETC test results. If the exhaust aftertreatment has a security mode that shifts to a periodic regeneration mode it should be checked following section 2.8.2. For that specific case the emission limits in table 2 of Annex I could be exceeded and would not be weighted. 2.8.2. For an exhaust aftertreatment based on a periodic regeneration process, the emissions shall be measured on at least two ETC tests, one during and one outside a regeneration event on a stabilised aftertreatment system, and the results be weighted. The regeneration process shall occur at least once during the ETC test. The engine may be equipped with a switch capable of preventing or permitting the regeneration process provided this operation has no effect on the original engine calibration. The manufacturer shall declare the normal parameter conditions under which the regeneration process occurs (soot load, temperature, exhaust back-pressure etc) and its duration time (n2). The manufacturer shall also provide all the data to determine the time between two regenerations (n1). The exact procedure to determine this time shall be agreed by the Technical Service based upon good engineering judgement. The manufacturer shall provide an aftertreatment system that has been loaded in order to achieve regeneration during an ETC test. Regeneration shall not occur during this engine conditioning phase. Average emissions between regeneration phases shall be determined from the arithmetic mean of several approximately equidistant ETC tests. It is recommended to run at least one ETC as close as possible prior to a regeneration test and one ETC immediately after a regeneration test. As an alternative, the manufacturer may provide data to show that the emissions remain constant (± 15 %) between regeneration phases. In this case, the emissions of only one ETC test may be used. During the regeneration test, all the data needed to detect regeneration shall be recorded (CO or NOx emissions, temperature before and after the aftertreatment system, exhaust back pressure etc). During the regeneration process, the emission limits in table 2 of Annex I can be exceeded. One filter shall be used for the complete test procedure. The modal weighting factors specified in the test cycle procedure shall be taken into account by taking a sample proportional to the exhaust mass flow during each individual mode of the cycle. This can be achieved by adjusting sample flow rate, sampling time, and/or dilution ratio, accordingly, so that the criterion for the effective weighting factors in section 5.6 is met. For calculation of the emissions in the raw exhaust, it is necessary to know the exhaust gas flow. The exhaust gas mass flow rate shall be determined in accordance with section 4.1.1 or 4.1.2. The accuracy of exhaust flow determination shall be ± 2,5 % of reading or ± 1,5 % of the engine's maximum value whichever is the greater. Equivalent methods (e.g. those described in section 4.2 of Appendix 2 to this Annex) may be used. Precautions shall be taken to avoid measurement errors which will impact emission value errors. Such precautions include the careful installation of the device in the engine exhaust system according to the instrument manufacturers’ recommendations and to good engineering practice. Especially, engine performance and emissions shall not be affected by the installation of the device. For the evaluation of the gaseous emissions, the chart reading of the last 30 seconds of each mode shall be averaged and the average concentrations (conc) of HC, CO and NOx during each mode shall be determined from the average chart readings and the corresponding calibration data. A different type of recording can be used if it ensures an equivalent data acquisition. For the NOx check within the control area, the above requirements apply for NOx only. The exhaust gas flow qmew or the diluted exhaust gas flow qmdew , if used optionally, shall be determined in accordance with section 2.3 of Appendix 4 to this Annex. The measured concentration shall be converted to a wet basis according to the following formulae, if not already measured on a wet basis. The conversion shall be done for each individual mode. and may be derived from relative humidity measurement, dewpoint measurement, vapour pressure measurement or dry/wet bulb measurement using the generally accepted formulae. As the NOx emission depends on ambient air conditions, the NOx concentration shall be corrected for ambient air temperature and humidity with the factors given in the following formulae. The factors are valid in the range between 0 and 25 g/kg dry air. H a may be derived from relative humidity measurement, dewpoint measurement, vapour pressure measurement or dry/wet bulb measurement using the generally accepted formulae. H a may be derived from relative humidity measurement, dew point measurement, vapour pressure measurement or dry/wet bulb measurement using the generally accepted formulae. The emission mass flow rate (g/h) for each mode shall be calculated as follows. For the calculation of NOx, the humidity correction factor k h,D, or k h,G, as applicable, as determined according to section 5.3, shall be used. The measured concentration shall be converted to a wet basis according to section 5.2 if not already measured on a wet basis. Values for u gas are given in Table 6 for selected components based on ideal gas properties and the fuels relevant for this Directive. The dilution factor D shall be calculated according to section 5.4.1 of Appendix 2 to this Annex. P n is the net power determined according to section 8.2 in Annex II. The weighting factors used in the above calculation are according to section 2.7.1.
u value of CNG for HC corresponds to CH2,93 (for total HC use u value of CH4). For the three control points selected according to section 2.7.6, the NOx emission shall be measured and calculated according to section 5.6.1 and also determined by interpolation from the modes of the test cycle closest to the respective control point according to section 5.6.2. The measured values are then compared to the interpolated values according to section 5.6.3. Per cent load(T) = Per cent load(U). ER, ES, ET, EU = specific NOx emission of the enveloping modes calculated in accordance with section 5.6.1. MR, MS, MT, MU = engine torque of the enveloping modes. For the evaluation of the particulates, the total sample masses (m sep) through the filter shall be recorded for each mode. The filter shall be returned to the weighing chamber and conditioned for at least one hour, but not more than 80 hours, and then weighed. The gross weight of the filters shall be recorded and the tare weight (see section 2.1) subtracted, which results in the particulate sample mass m f.
If background correction is to be applied, the dilution air mass (m d) through the filter and the particulate mass (m f,d) shall be recorded. If more than one measurement was made, the quotient m f,d/m d shall be calculated for each single measurement and the values averaged. The final reported test results of the particulate emission shall be determined through the following steps. Since various types of dilution rate control may be used, different calculation methods for q medf apply. All calculations shall be based upon the average values of the individual modes during the sampling period. Concentrations measured on a dry basis shall be converted to a wet basis according to section 5.2 of this Appendix. All calculations shall be based upon the average values of the individual modes during the sampling period. The diluted exhaust gas flow q mdew shall be determined in accordance with section 4.1 of Appendix 2 to this Annex. 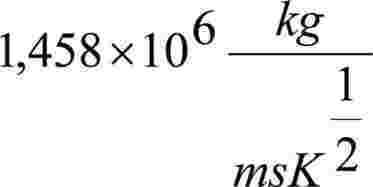 The total sample mass m sep shall be calculated in accordance with section 6.2.1 of Appendix 2 to this Annex. The particulate mass flow rate shall be calculated as follows. If a full flow dilution system is used, q medf as determined according to section 6.2 shall be replaced with q mdew as determined according to section 6.3.
where D shall be calculated in accordance with section 5.4.1 of Appendix 2 to this Annex. Former section 6 is renumbered as section 7. At the manufacturers request, a dummy test may be run for conditioning of the engine and exhaust system before the measurement cycle. NG and LPG fuelled engines shall be run-in using the ETC test. The engine shall be run over a minimum of two ETC cycles and until the CO emission measured over one ETC cycle does not exceed by more than 10 % the CO emission measured over the previous ETC cycle. At least one hour before the test, each filter shall be placed in a partially covered petri dish, which is protected against dust contamination, and placed in a weighing chamber for stabilisation. At the end of the stabilisation period, each filter shall be weighed and the tare weight shall be recorded. The filter shall then be stored in a closed petri dish or sealed filter holder until needed for testing. The filter shall be used within eight hours of its removal from the weighing chamber. The tare weight shall be recorded. The instrumentation and sample probes shall be installed as required. The tailpipe shall be connected to the full flow dilution system, if used. The dilution system and the engine shall be started and warmed up until all temperatures and pressures have stabilised at maximum power according to the recommendation of the manufacturer and good engineering practice. The particulate sampling system shall be started and running on by-pass. The particulate background level of the dilution air may be determined by passing dilution air through the particulate filters. If filtered dilution air is used, one measurement may be done prior to or after the test. If the dilution air is not filtered, measurements at the beginning and at the end of the cycle may be done and the values averaged. The dilution system and the engine shall be started and warmed up until all temperatures and pressures have stabilised according to the recommendation of the manufacturer and good engineering practice. In case of periodic regeneration aftertreatment, the regeneration shall not occur during the warm-up of the engine. The flow rates of the dilution system (full flow or partial flow) shall be set to eliminate water condensation in the system, and to obtain a maximum filter face temperature of 325 K (52 °C) or less (see section 2.3.1 of Annex V, DT). The emission analysers shall be set at zero and spanned. If sample bags are used, they shall be evacuated. The stabilised engine shall be started according to the manufacturer's recommended starting procedure in the owner's manual, using either a production starter motor or the dynamometer. Optionally, the test may start directly from the engine preconditioning phase without shutting the engine off, when the engine has reached the idle speed. The test sequence shall be started, if the engine has reached idle speed. The test shall be performed according to the reference cycle as set out in section 2 of this Appendix. Engine speed and torque command set points shall be issued at 5 Hz (10 Hz recommended) or greater. Feedback engine speed and torque shall be recorded at least once every second during the test cycle, and the signals may be electronically filtered. start recording the feedback data of speed and torque of the dynamometer. HC and NOx shall be measured continuously in the dilution tunnel with a frequency of 2 Hz. The average concentrations shall be determined by integrating the analyzer signals over the test cycle. The system response time shall be no greater than 20 s, and shall be coordinated with CVS flow fluctuations and sampling time/test cycle offsets, if necessary. CO, CO2, NMHC and CH4 shall be determined by integration or by analysing the concentrations in the sample bag, collected over the cycle. The concentrations of the gaseous pollutants in the dilution air shall be determined by integration or by collecting into the background bag. All other values shall be recorded with a minimum of one measurement per second (1 Hz). For the evaluation of the gaseous emissions, the emission concentrations (HC, CO and NOx) and the exhaust gas mass flow rate shall be recorded and stored with at least 2 Hz on a computer system. The system response time shall be no greater than 10 s. All other data may be recorded with a sample rate of at least 1 Hz. For analogue analysers the response shall be recorded, and the calibration data may be applied online or offline during the data evaluation. For calculation of the mass emission of the gaseous components the traces of the recorded concentrations and the trace of the exhaust gas mass flow rate shall be time aligned by the transformation time as defined in section 2 of Annex I. Therefore, the response time of each gaseous emissions analyser and of the exhaust gas mass flow system shall be determined according to the provisions of section 4.2.1 and section 1.5 of Appendix 5 to this Annex and recorded. At the start of the engine or test sequence, if the cycle is started directly from the preconditioning, the particulate sampling system shall be switched from by-pass to collecting particulates. If no flow compensation is used, the sample pump(s) shall be adjusted so that the flow rate through the particulate sample probe or transfer tube is maintained at a value within ± 5 % of the set flow rate. If flow compensation (i.e., proportional control of sample flow) is used, it must be demonstrated that the ratio of main tunnel flow to particulate sample flow does not change by more than ± 5 % of its set value (except for the first 10 seconds of sampling). Note: For double dilution operation, sample flow is the net difference between the flow rate through the sample filters and the secondary dilution air flow rate. The average temperature and pressure at the gas meter(s) or flow instrumentation inlet shall be recorded. If the set flow rate cannot be maintained over the complete cycle (within ± 5 %) because of high particulate loading on the filter, the test shall be voided. The test shall be rerun using a lower flow rate and/or a larger diameter filter. For the control of a partial flow dilution system, a fast system response is required. The transformation time for the system shall be determined by the procedure in section 3.3 of Appendix 5 to Annex III. If the combined transformation time of the exhaust flow measurement (see section 4.2.1) and the partial flow system is less than 0,3 sec, online control may be used. If the transformation time exceeds 0,3 sec, look ahead control based on a pre-recorded test run must be used. In this case, the rise time shall be ≤ 1 sec and the delay time of the combination ≤ 10 sec. qmp intercept of the regression line shall not exceed ± 2 % of qmp maximum. Optionally, a pretest may be run, and the exhaust mass flow signal of the pretest be used for controlling the sample flow into the particulate system (look-ahead control). Such a procedure is required if the transformation time of the particulate system, t50,P or the transformation time of the exhaust mass flow signal, t50,F, or both, are > 0,3 sec. A correct control of the partial dilution system is obtained, if the time trace of qmew,pre of the pretest, which controls qmp, is shifted by a look-ahead time of t50,P + t50,F. For establishing the correlation between qmp,i and qmew,i the data taken during the actual test shall be used, with qmew,i time aligned by t50,F relative to qmp,i (no contribution from t50,P to the time alignment). That is, the time shift between qmew and qmp is the difference in their transformation times that were determined in section 3.3 of Appendix 5 to Annex III. If the engine stalls anywhere during the test cycle, the engine shall be preconditioned and restarted, and the test repeated. If a malfunction occurs in any of the required test equipment during the test cycle, the test shall be voided. At the completion of the test, the measurement of the diluted exhaust gas volume or raw exhaust gas flow rate, the gas flow into the collecting bags and the particulate sample pump shall be stopped. For an integrating analyser system, sampling shall continue until system response times have elapsed. The concentrations of the collecting bags, if used, shall be analysed as soon as possible and in any case not later than 20 minutes after the end of the test cycle. After the emission test, a zero gas and the same span gas shall be used for re-checking the analysers. The test will be considered acceptable if the difference between the pre-test and post-test results is less than 2 % of the span gas value. To minimise the biasing effect of the time lag between the feedback and reference cycle values, the entire engine speed and torque feedback signal sequence may be advanced or delayed in time with respect to the reference speed and torque sequence. If the feedback signals are shifted, both speed and torque must be shifted the same amount in the same direction. The actual cycle work Wact (kWh) shall be calculated using each pair of engine feedback speed and torque values recorded. This shall be done after any feedback data shift has occurred, if this option is selected. The actual cycle work Wact is used for comparison to the reference cycle work Wref and for calculating the brake specific emissions (see sections 4.4 and 5.2). The same methodology shall be used for integrating both reference and actual engine power. If values are to be determined between adjacent reference or adjacent measured values, linear interpolation shall be used. In integrating the reference and actual cycle work, all negative torque values shall be set equal to zero and included. If integration is performed at a frequency of less than 5 Hertz, and if, during a given time segment, the torque value changes from positive to negative or negative to positive, the negative portion shall be computed and set equal to zero. The positive portion shall be included in the integrated value. The standard error of estimate (SE) of y on x and the coefficient of determination (r2) shall be calculated for each regression line. It is recommended that this analysis be performed at 1 Hertz. All negative reference torque values and the associated feedback values shall be deleted from the calculation of cycle torque and power validation statistics. For a test to be considered valid, the criteria of table 7 must be met. Point deletions from the regression analyses are permitted where noted in Table 8. The total diluted exhaust gas flow over the cycle (kg/test) shall be calculated from the measurement values over the cycle and the corresponding calibration data of the flow measurement device (V 0 for PDP, K V for CFV, C d for SSV), as determined in section 2 of Appendix 5 to Annex III). The following formulae shall be applied, if the temperature of the diluted exhaust is kept constant over the cycle by using a heat exchanger (± 6 K for a PDP-CVS, ± 11 K for a CFV-CVS or ± 11 K for a SSV-CVS), see section 2.3 of Annex V). If a system with flow compensation is used (i.e. without heat exchanger), the instantaneous mass emissions shall be calculated and integrated over the cycle. 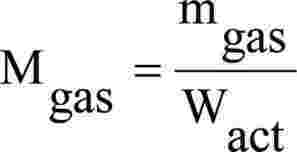 In this case, the instantaneous mass of the diluted exhaust gas shall be calculated as follows. The real time calculation shall be initialised with either a reasonable value for C d, such as 0,98, or a reasonable value of Q ssv. If the calculation is initialised with Q ssv, the initial value of Q ssv shall be used to evaluate Re. During all emissions tests, the Reynolds number at the SSV throat must be in the range of Reynolds numbers used to derive the calibration curve developed in section 2.4 of Appendix 5 to this Annex. For calculation of the emissions in the raw exhaust gas and for controlling of a partial flow dilution system, it is necessary to know the exhaust gas mass flow rate. For the determination of the exhaust mass flow rate, either of the methods described in sections 4.2.2 to 4.2.5 may be used. For the purpose of emissions calculation, the response time of either method described below shall be equal to or less than the requirement for the analyzer response time, as defined in section 1.5 of Appendix 5 to this Annex. For the purpose of controlling of a partial flow dilution system, a faster response is required. For partial flow dilution systems with online control, a response time of ≤ 0,3 seconds is required. For partial flow dilution systems with look ahead control based on a pre-recorded test run, a response time of the exhaust flow measurement system of ≤ 5 seconds with a rise time of ≤ 1 second is required. The system response time shall be specified by the instrument manufacturer. The combined response time requirements for exhaust gas flow and partial flow dilution system are indicated in section 3.8.3.2. Precautions shall be taken to avoid measurement errors which will impact emission value errors. Such precautions include the careful installation of the device in the engine exhaust system according to the instrument manufacturers' recommendations and to good engineering practice. Engine performance and emissions shall especially not be affected by the installation of the device. The accuracy of exhaust flow determination shall be at least ± 2,5 % of reading or ± 1,5 % of engine's maximum value, whichever is the greater. This involves measurement of the concentration of a tracer gas in the exhaust. A known amount of an inert gas (e.g. pure helium) shall be injected into the exhaust gas flow as a tracer. The gas is mixed and diluted by the exhaust gas, but shall not react in the exhaust pipe. The concentration of the gas shall then be measured in the exhaust gas sample. In order to ensure complete mixing of the tracer gas, the exhaust gas sampling probe shall be located at least 1 m or 30 times the diameter of the exhaust pipe, whichever is larger, downstream of the tracer gas injection point. The sampling probe may be located closer to the injection point if complete mixing is verified by comparing the tracer gas concentration with the reference concentration when the tracer gas is injected upstream of the engine. The tracer gas flow rate shall be set so that the tracer gas concentration at engine idle speed after mixing becomes lower than the full scale of the trace gas analyser. When the background concentration is less than 1 % of the concentration of the tracer gas after mixing (c mix.i) at maximum exhaust flow, the background concentration may be neglected. The total system shall meet the accuracy specifications for the exhaust gas flow, and shall be calibrated according to section 1.7 of Appendix 5 to this Annex. Note: β can be 1 for fuels containing carbon and 0 for hydrogen fuel. The air flowmeter shall meet the accuracy specifications of section 2.2 of Appendix 4 to this Annex, the CO2 analyser used shall meet the specifications of section 3.3.2 of Appendix 4 to this Annex and the total system shall meet the accuracy specifications for the exhaust gas flow. For the evaluation of the gaseous emissions in the diluted exhaust gas, the emission concentrations (HC, CO and NOx) and the diluted exhaust gas mass flow rate shall be recorded according to section 3.8.2.1 and stored on a computer system. For analogue analysers the response shall be recorded, and the calibration data may be applied online or offline during the data evaluation. For the evaluation of the gaseous emissions in the raw exhaust gas, the emission concentrations (HC, CO and NOx) and the exhaust gas mass flow rate shall be recorded according to section 3.8.2.2 and stored on a computer system. For analogue analysers the response shall be recorded, and the calibration data may be applied online or offline during the data evaluation. If the concentration is measured on a dry basis, it shall be converted to a wet basis according to the following formula. For continuous measurement, the conversion shall be applied to each instantaneous measurement before any further calculation. The conversion equations of section 5.2 of Appendix 1 to this Annex shall apply. As the NOx emission depends on ambient air conditions, the NOx concentration shall be corrected for ambient air temperature and humidity with the factors given in section 5.3 of Appendix 1 to this Annex. The factors are valid in the range between 0 and 25 g/kg dry air. The emission mass over the cycle (g/test) shall be calculated as follows depending on the measurement method applied. The measured concentration shall be converted to a wet basis according to section 5.2 of Appendix 1 to this Annex, if not already measured on a wet basis. The respective values for u gas shall be applied that are given in Table 6 of Appendix 1 to this Annex for selected components based on ideal gas properties and the fuels relevant for this Directive. The average background concentration of the gaseous pollutants in the dilution air shall be subtracted from measured concentrations to get the net concentrations of the pollutants. The average values of the background concentrations can be determined by the sample bag method or by continuous measurement with integration. The following formula shall be used. Concentrations measured on dry basis shall be converted to a wet basis in accordance with section 5.2 of Appendix 1 to this Annex. W act = actual cycle work as determined according to section 3.9.2. The particulate filter shall be returned to the weighing chamber no later than one hour after completion of the test. It shall be conditioned in a partially covered petri dish, which is protected against dust contamination, for at least one hour, but not more than 80 hours, and then weighed. The gross weight of the filters shall be recorded and the tare weight subtracted, which results in the particulate sample mass m f. For the evaluation of the particulate concentration, the total sample mass (m sep) through the filters over the test cycle shall be recorded. If background correction is to be applied, the dilution air mass (m d) through the filter and the particulate mass (m f,d) shall be recorded. If a double dilution system is used, the mass of the secondary dilution air shall be subtracted from the total mass of the double diluted exhaust gas sampled through the particulate filters. dilution factor as determined in section 5.4.1.
mass of diluted exhaust gas passing the dilution tunnel, kg. Note: In case of the total sampling type system, m sep and M sed are identical. W act = actual cycle work as determined according to section 3.9.2, kWh. Gaseous components, particulates, and smoke emitted by the engine submitted for testing shall be measured by the methods described in Annex V. The respective sections of Annex V describe the recommended analytical systems for the gaseous emissions (section 1), the recommended particulate dilution and sampling systems (section 2), and the recommended opacimeters for smoke measurement (section 3). For the ESC, the gaseous components shall be determined in the raw exhaust gas. Optionally, they may be determined in the diluted exhaust gas, if a full flow dilution system is used for particulate determination. Particulates shall be determined with either a partial flow or a full flow dilution system. Sections 2.3 and 2.4 are deleted. The analysers shall have a measuring range appropriate for the accuracy required to measure the concentrations of the exhaust gas components (section 3.1.1). It is recommended that the analysers be operated such that the measured concentration falls between 15 % and 100 % of full scale. If read-out systems (computers, data loggers) can provide sufficient accuracy and resolution below 15 % of full scale, measurements below 15 % of full scale are also acceptable. In this case, additional calibrations of at least 4 non-zero nominally equally spaced points are to be made to ensure the accuracy of the calibration curves according to section 1.6.4 of Appendix 5 to this Annex. The electromagnetic compatibility (EMC) of the equipment shall be on a level as to minimise additional errors. The analyser shall not deviate from the nominal calibration point by more than ± 2 % of the reading over the whole measurement range except zero, or ± 0,3 % of full scale whichever is larger. The accuracy shall be determined according to the calibration requirements laid down in section 1.6 of Appendix 5 to this Annex. Note: For the purpose of this Directive, accuracy is defined as the deviation of the analyser reading from the nominal calibration values using a calibration gas (= true value). The precision, defined as 2,5 times the standard deviation of 10 repetitive responses to a given calibration or span gas, has to be not greater than ± 1 % of full scale concentration for each range used above 155 ppm (or ppmC) or ± 2 % of each range used below 155 ppm (or ppmC). The analyser peak-to-peak response to zero and calibration or span gases over any 10 second period shall not exceed 2 % of full scale on all ranges used. Zero response is defined as the mean response, including noise, to a zero gas during a 30 seconds time interval. The drift of the zero response during a one hour period shall be less than 2 % of full scale on the lowest range used. Span response is defined as the mean response, including noise, to a span gas during a 30 seconds time interval. The drift of the span response during a one hour period shall be less than 2 % of full scale on the lowest range used. The rise time of the analyser installed in the measurement system shall not exceed 3,5 s.
Note: Only evaluating the response time of the analyser alone will not clearly define the suitability of the total system for transient testing. Volumes and especially dead volumes through out the system will not only effect the transportation time from the probe to the analyser, but also effect the rise time. Also transport times inside of an analyser would be defined as analyser response time, like the converter or water traps inside NOx analysers. The determination of the total system response time is described in section 1.5 of Appendix 5 to this Annex. Sections 3.3.1 to 3.3.4 describe the measurement principles to be used. A detailed description of the measurement systems is given in Annex V. The gases to be measured shall be analysed with the following instruments. For non-linear analysers, the use of linearising circuits is permitted. The carbon monoxide analyser shall be of the Non-Dispersive InfraRed (NDIR) absorption type. The carbon dioxide analyser shall be of the Non-Dispersive InfraRed (NDIR) absorption type. For diesel and LPG fuelled gas engines, the hydrocarbon analyser shall be of the Heated Flame Ionisation Detector (HFID) type with detector, valves, pipework, etc. heated so as to maintain a gas temperature of 463 K ± 10 K (190 ± 10 °C). For NG fuelled gas engines, the hydrocarbon analyser may be of the non heated Flame Ionisation Detector (FID) type depending upon the method used (see section 1.3 of Annex V). Non-methane hydrocarbons shall be determined by subtraction of the methane analysed with a Gas Chromatograph (GC) conditioned at 423 K (150 °C) from the hydrocarbons measured according to section 3.3.3. The determination of the non-methane fraction shall be performed with a heated NMC operated in line with an FID as per section 3.3.3 by subtraction of the methane from the hydrocarbons. The oxides of nitrogen analyser shall be of the ChemiLuminescent Detector (CLD) or Heated ChemiLuminescent Detector (HCLD) type with a NO2/NO converter, if measured on a dry basis. If measured on a wet basis, a HCLD with converter maintained above 328 K (55 °C) shall be used, provided the water quench check (see section 1.9.2.2 of Appendix 5 to this Annex) is satisfied. The air to fuel measurement equipment used to determine the exhaust gas flow as specified in section 4.2.5 of Appendix 2 to this Annex shall be a wide range air to fuel ratio sensor or lambda sensor of Zirconia type. The sensor shall be mounted directly on the exhaust pipe where the exhaust gas temperature is high enough to eliminate water condensation. To fulfil the accuracy specified above, the sensor shall be calibrated as specified by the instrument manufacturer. The gaseous emissions sampling probes shall be fitted at least 0,5 m or 3 times the diameter of the exhaust pipe — whichever is the larger — upstream of the exit of the exhaust gas system but sufficiently close to the engine as to ensure an exhaust gas temperature of at least 343 K (70 °C) at the probe. In the case of a multi-cylinder engine with a branched exhaust manifold, the inlet of the probe shall be located sufficiently far downstream so as to ensure that the sample is representative of the average exhaust emissions from all cylinders. In multi-cylinder engines having distinct groups of manifolds, such as in a “Vee” engine configuration, it is recommended to combine the manifolds upstream of the sampling probe. If this is not practical, it is permissible to acquire a sample from the group with the highest CO2 emission. Other methods which have been shown to correlate with the above methods may be used. For exhaust emission calculation the total exhaust mass flow shall be used. If the engine is equipped with an exhaust aftertreatment system, the exhaust sample shall be taken downstream of the exhaust aftertreatment system. The exhaust pipe between the engine and the full flow dilution system shall conform to the requirements of section 2.3.1 of Annex V (EP). The gaseous emissions sample probe(s) shall be installed in the dilution tunnel at a point where the dilution air and exhaust gas are well mixed, and in close proximity to the particulates sampling probe. the pollutants are sampled continuously and integrated over the cycle; this method is mandatory for HC and NOx. The determination of the particulates requires a dilution system. Dilution may be accomplished by a partial flow dilution system or a full flow double dilution system. The flow capacity of the dilution system shall be large enough to completely eliminate water condensation in the dilution and sampling systems. The temperature of the diluted exhaust gas shall be below 325 K (52 °C) (16) immediately upstream of the filter holders. Humidity control of the dilution air before entering the dilution system is permitted, and especially dehumidifying is useful if dilution air humidity is high. The temperature of the dilution air shall be higher than 288 K (15 °C) in close proximity to the entrance into the dilution tunnel. The partial flow dilution system has to be designed to extract a proportional raw exhaust sample from the engine exhaust stream, thus responding to excursions in the exhaust stream flow rate, and introduce dilution air to this sample to achieve a temperature below 325 K (52 °C) at the test filter. For this it is essential that the dilution ratio or the sampling ratio r dil or r s be determined such that the accuracy limits of section 3.2.1 of Appendix 5 to this Annex are fulfilled. Different extraction methods can be applied, whereby the type of extraction used dictates to a significant degree the sampling hardware and procedures to be used (section 2.2 of Annex V). In general, the particulate sampling probe shall be installed in close proximity to the gaseous emissions sampling probe, but sufficiently distant as to not cause interference. Therefore, the installation provisions of section 3.4.1 also apply to particulate sampling. The sampling line shall conform to the requirements of section 2 of Annex V.
In the case of a multi-cylinder engine with a branched exhaust manifold, the inlet of the probe shall be located sufficiently far downstream so as to ensure that the sample is representative of the average exhaust emissions from all cylinders. In multi-cylinder engines having distinct groups of manifolds, such as in a “Vee” engine configuration, it is recommended to combine the manifolds upstream of the sampling probe. If this is not practical, it is permissible to acquire a sample from the group with the highest particulate emission. Other methods which have been shown to correlate with the above methods may be used. For exhaust emission calculation the total exhaust mass flow shall be used. To determine the mass of the particulates, a particulate sampling system, particulate sampling filters, a microgram balance, and a temperature and humidity controlled weighing chamber, are required. For particulate sampling, the single filter method shall be applied which uses one filter (see section 4.1.3) for the whole test cycle. For the ESC, considerable attention must be paid to sampling times and flows during the sampling phase of the test. The diluted exhaust shall be sampled by a filter that meets the requirements of sections 4.1.1 and 4.1.2 during the test sequence. Fluorocarbon coated glass fiber filters are required. All filter types shall have a 0,3 μm DOP (di-octylphthalate) collection efficiency of at least 99 % at a gas face velocity between 35 and 100 cm/s. Particulate filters with a diameter of 47 mm or 70 mm are recommended. Larger diameter filters are acceptable (section 4.1.4), but smaller diameter filters are not permitted. A gas face velocity through the filter of 35 to 100 cm/s shall be achieved. The pressure drop increase between the beginning and the end of the test shall be no more than 25 kPa. The required minimum filter loadings for the most common filter sizes are shown in table 10. For larger filter sizes, the minimum filter loading shall be 0,065 mg/1 000 mm2 filter area. If, based on previous testing, the required minimum filter loading is unlikely to be reached on a test cycle after optimisation of flow rates and dilution ratio, a lower filter loading may be acceptable, with the agreement of the parties involved, if it can be shown to meet the accuracy requirements of section 4.2, e.g. with a 0,1 μg balance. For the emissions test, the filters shall be placed in a filter holder assembly meeting the requirements of section 2.2 of Annex V. The filter holder assembly shall be of a design that provides an even flow distribution across the filter stain area. Quick acting valves shall be located either upstream or downstream of the filter holder. An inertial pre-classifier with a 50 % cut point between 2,5 μm and 10 μm may be installed immediately upstream of the filter holder. The use of the pre-classifier is strongly recommended if an open tube sampling probe facing upstream into the exhaust flow is used. The temperature of the chamber (or room) in which the particulate filters are conditioned and weighed shall be maintained to within 295 K ± 3 K (22 °C ± 3 °C) during all filter conditioning and weighing. The humidity shall be maintained to a dewpoint of 282,5 K ± 3 K (9,5 °C ± 3 °C) and a relative humidity of 45 % ± 8 %. The chamber (or room) environment shall be free of any ambient contaminants (such as dust) that would settle on the particulate filters during their stabilisation. Disturbances to weighing room specifications as outlined in section 4.2.1 will be allowed if the duration of the disturbances does not exceed 30 minutes. The weighing room should meet the required specifications prior to personal entrance into the weighing room. At least two unused reference filters shall be weighed within 4 hours of, but preferably at the same time as the sample filter weightings. They shall be the same size and material as the sample filters. If the average weight of the reference filters changes between sample filter weightings by more than 10 μg, then all sample filters shall be discarded and the emissions test repeated. If the weighing room stability criteria outlined in section 4.2.1 is not met, but the reference filter weightings meet the above criteria, the engine manufacturer has the option of accepting the sample filter weights or voiding the tests, fixing the weighing room control system and re-running the test. The analytical balance used to determine the filter weight shall have a precision (standard deviation) of at least 2 μg and a resolution of at least 1 μg (1 digit = 1 μg) specified by the balance manufacturer. To eliminate the effects of static electricity, the filters shall be neutralized prior to weighing, e.g. by a Polonium neutralizer, a Faraday cage or a device of similar effect. Absolute accuracies of flow meter or flow measurement instrumentation shall be as specified in section 2.2. In this case an accuracy of ± 2 % for q mdew and q mdw is not sufficient to guarantee acceptable accuracies of q mp. If the gas flow is determined by differential flow measurement, the maximum error of the difference shall be such that the accuracy of q mp is within ± 5 % when the dilution ratio is less than 15. It can be calculated by taking root-mean-square of the errors of each instrument. the absolute accuracy of q mdew and q mdw is within ± 2 % of full scale, the maximum error of the difference between q mdew and q mdw is within 0,2 %, and the linearity error is within ± 0,2 % of the highest q mdew observed during the test. The gases used for calibration and span may also be obtained by means of precision blending devices (gas dividers), diluting with purified N2 or with purified synthetic air. The accuracy of the mixing device must be such that the concentration of the blended calibration gases is accurate to within ± 2 %. This accuracy implies that primary gases used for blending must be known to an accuracy of at least ± 1 %, traceable to national or international gas standards. The verification shall be performed at between 15 and 50 % of full scale for each calibration incorporating a blending device. A system leakage test shall be performed. The probe shall be disconnected from the exhaust system and the end plugged. The analyser pump shall be switched on. After an initial stabilisation period all flow meters should read zero. If not, the sampling lines shall be checked and the fault corrected. The maximum allowable leakage rate on the vacuum side shall be 0,5 % of the in-use flow rate for the portion of the system being checked. The analyser flows and bypass flows may be used to estimate the in-use flow rates. The system settings for the response time evaluation shall be exactly the same as during measurement of the test run (i.e. pressure, flow rates, filter settings on the analyzers and all other response time influences). The response time determination shall be done with gas switching directly at the inlet of the sample probe. The gas switching shall be done in less than 0,1 second. The gases used for the test shall cause a concentration change of at least 60 % FS. The concentration trace of each single gas component shall be recorded. The response time is defined to be the difference in time between the gas switching and the appropriate change of the recorded concentration. The system response time (t 90) consists of the delay time to the measuring detector and the rise time of the detector. The delay time is defined as the time from the change (t 0) until the response is 10 % of the final reading (t 10). The rise time is defined as the time between 10 % and 90 % response of the final reading (t 90 – t 10). For time alignment of the analyzer and exhaust flow signals in the case of raw measurement, the transformation time is defined as the time from the change (t 0) until the response is 50 % of the final reading (t 50). The warming-up time should be according to the recommendations of the manufacturer. If not specified, a minimum of two hours is recommended for warming up the analysers. The NDIR analyser shall be tuned, as necessary, and the combustion flame of the HFID analyser shall be optimised (section 1.8.1). The zero setting shall be rechecked and the calibration procedure repeated, if necessary. The calibration curve shall be established by at least 6 calibration points (excluding zero) approximately equally spaced over the operating range. The highest nominal concentration shall be equal to or higher than 90 % of full scale. The calibration curve is calculated by the method of least squares. The calibration points shall not differ from the least-squares best-fit line by more than ± 2 % of reading or ± 0,3 % of full scale whichever is larger. Former section 1.6 becomes section 1.6.7. Calibration of the SSV is based upon the flow equation for a subsonic venturi. Gas flow is a function of inlet pressure and temperature, pressure drop between the SSV inlet and throat. Because Q SSV is an input to the Re formula, the calculations must be started with an initial guess for Q SSV or C d of the calibration venturi, and repeated until Q SSV converges. The convergence method must be accurate to 0,1 % of point or better. Former section 2.4 becomes Section 2.5. The calibration of the particulate measurement is limited to the flow meters used to determine sample flow and dilution ratio. Each flow meter shall be calibrated as often as necessary to fulfil the accuracy requirements of this Directive. The calibration method that shall be used is described in section 3.2. To fulfil the absolute accuracy of the flow measurements as specified in section 2.2 of Appendix 4 to this Annex, the flow meter or the flow measurement instrumentation shall be calibrated with an accurate flow meter traceable to international and/or national standards. The flow meter for q mdw shall be connected in series to the flow meter for q mdew, the difference between the two flow meters shall be calibrated for at least 5 set points with flow values equally spaced between the lowest q mdw value used during the test and the value of q mdew used during the test. The dilution tunnel may be bypassed. A calibrated mass flow device shall be connected in series to the flowmeter for q mdew and the accuracy shall be checked for the value used for the test. Then the calibrated mass flow device shall be connected in series to the flow meter for q mdw, and the accuracy shall be checked for at least 5 settings corresponding to dilution ratio between 3 and 50, relative to q mdew used during the test. The transfer tube TT shall be disconnected from the exhaust, and a calibrated flow measuring device with a suitable range to measure q mp shall be connected to the transfer tube. Then q mdew shall be set to the value used during the test, and q mdw shall be sequentially set to at least 5 values corresponding to dilution ratios q between 3 and 50. Alternatively, a special calibration flow path, may be provided, in which the tunnel is bypassed, but the total and dilution air flow through the corresponding meters as in the actual test. The accuracies of the gas analysers shall be taken into account to guarantee the accuracy of q mp. A carbon flow check using actual exhaust is recommended for detecting measurement and control problems and verifying the proper operation of the partial flow system. 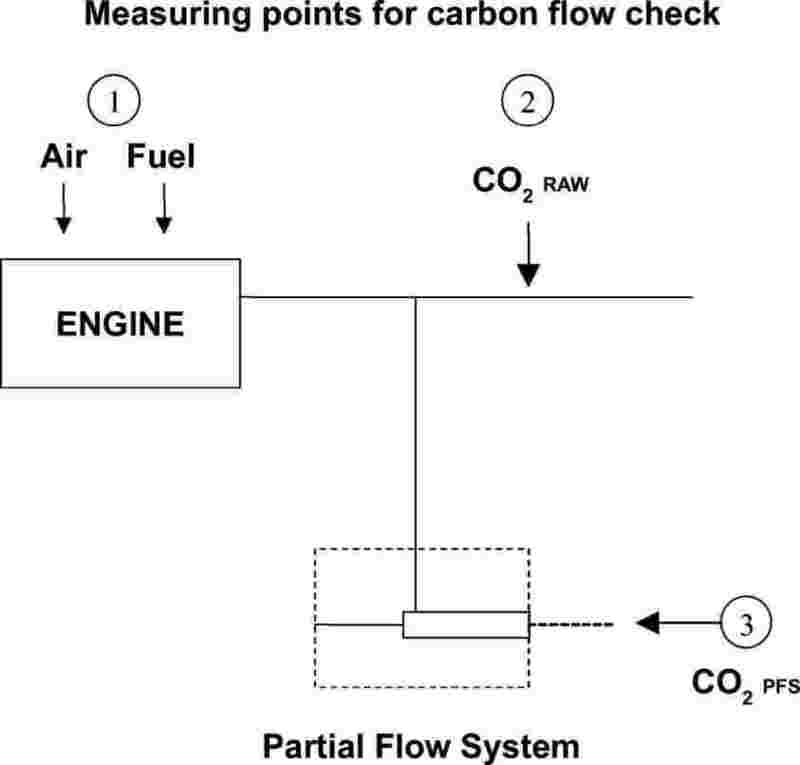 The carbon flow check should be run at least each time a new engine is installed, or something significant is changed in the test cell configuration. The engine shall be operated at peak torque load and speed or any other steady state mode that produces 5 % or more of CO2. The partial flow sampling system shall be operated with a dilution factor of about 15 to 1. If a carbon flow check is conducted, the procedure given in Appendix 6 to this Annex shall be applied. The carbon flow rates shall be calculated according to sections 2.1 to 2.3 of Appendix 6 to this Annex. All carbon flow rates should agree to within 6 % of each other. The accuracy of the flow meters shall be checked by the same method as used for calibration (see section 3.2.1) for at least two points, including flow values of q mdw that correspond to dilution ratios between 5 and 15 for the q mdew value used during the test. If it can be demonstrated by records of the calibration procedure under section 3.2.1 that the flow meter calibration is stable over a longer period of time, the pre-test check may be omitted. An independent reference flowmeter with a measurement range appropriate for the probe flow shall be put in series with and closely coupled to the probe. This flowmeter shall have a transformation time of less than 100 ms for the flow step size used in the response time measurement, with flow restriction sufficiently low as to not affect the dynamic performance of the partial flow dilution system, and consistent with good engineering practice. A step change shall be introduced to the exhaust flow (or air flow if exhaust flow is calculated) input of the partial flow dilution system, from a low flow to at least 90 % of full scale. The trigger for the step change should be the same one used to start the look-ahead control in actual testing. The exhaust flow step stimulus and the flowmeter response shall be recorded at a sample rate of at least 10 Hz. From this data, the transformation time shall be determined for the partial flow dilution system, which is the time from the initiation of the step stimulus to the 50 % point of the flowmeter response. In a similar manner, the transformation times of the qmp signal of the partial flow dilution system and of the q mew,i signal of the exhaust flow meter shall be determined. These signals are used in the regression checks performed after each test (see section 3.8.3.2 of Appendix 2 to this Annex). The calculation shall be repeated for at least 5 rise and fall stimuli, and the results shall be averaged. The internal transformation time (< 100 msec) of the reference flowmeter shall be subtracted from this value. This is the “look-ahead” value of the partial flow dilution system, which shall be applied in accordance with section 3.8.3.2 of Appendix 2 to this Annex. 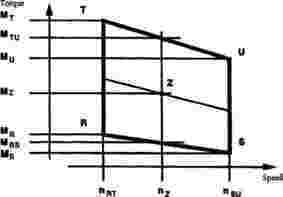 The range of the exhaust gas velocity and the pressure oscillations shall be checked and adjusted according to the requirements of section 2.2.1 of Annex V (EP), if applicable. All but a tiny part of the carbon in the exhaust comes from the fuel, and all but a minimal part of this is manifest in the exhaust gas as CO2. This is the basis for a system verification check based on CO2 measurements. The flow of carbon into the exhaust measurement systems is determined from the fuel flow rate. The flow of carbon at various sampling points in the emissions and particulate sampling systems is determined from the CO2 concentrations and gas flow rates at those points. In this sense, the engine provides a known source of carbon flow, and observing the same carbon flow in the exhaust pipe and at the outlet of the partial flow PM sampling system verifies leak integrity and flow measurement accuracy. This check has the advantage that the components are operating under actual engine test conditions of temperature and flow. The following diagram shows the sampling points at which the carbon flows shall be checked. The specific equations for the carbon flows at each of the sample points are given below. If CO2 is measured on a dry basis it shall be converted to a wet basis according to section 5.2 of Appendix 1 to this Annex. If CO2 is measured on a dry basis, it shall be converted to wet basis according to section 5.2 of Appendix 1 to this Annex. Former Section 1.2 becomes section 1.3. The Appendix becomes ‘Appendix 1’.